Sony Brings New 2TB Rugged External Hard Disk Drive ! 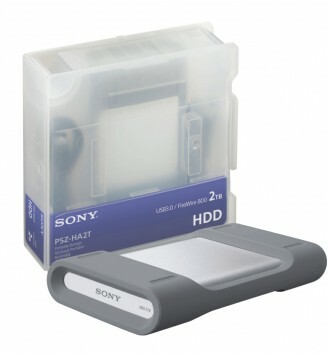 Home News Other Gadgets Sony Brings New 2TB Rugged External Hard Disk Drive ! Sony today, adding to it’s current line-up of storage solutions, introduced a new 2TB external hard disk drive. The new PSZ-HA2T Hard Disk Drive (HDD) is designed for professionals who need high-speed and highly reliable data storage for back-up and transfer of media heavy content while working on the field. The transfer speed available is 120MB/s which Sony claims is good enough to work with 4K content as well. On the connectivity side, it has one USB 3.0 and two FireWire 800 ports. The overall design is very impressive with a silicone and rubber combination it absorbs shock and dissipates heat without breaking a sweat. The drive is compliant with industry standards of IP5X and IPX4 of dust and splash proof performance and is compatible with Windows and Mqc. The PSZ-HA2T Portable HDD is available later this month for Rs.16,706.